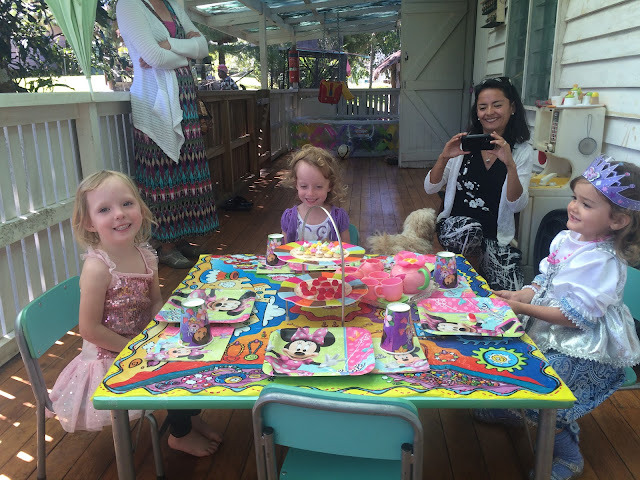 The girls were invited to a tea party. 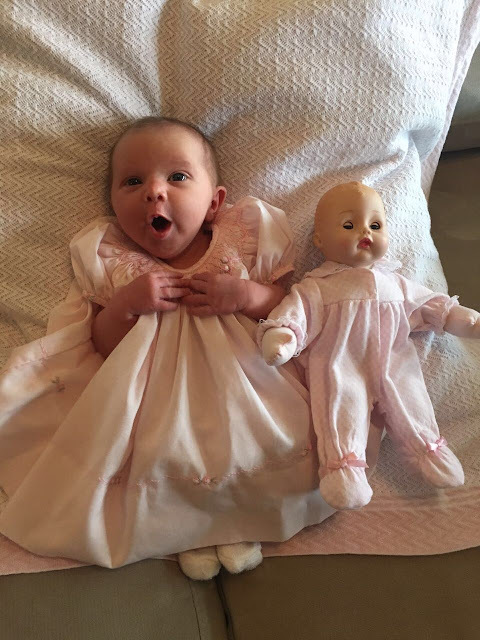 (Melody Colbran is amazing!) That's my dear longtime friend Johanna, who's also my neighbor, in the background. 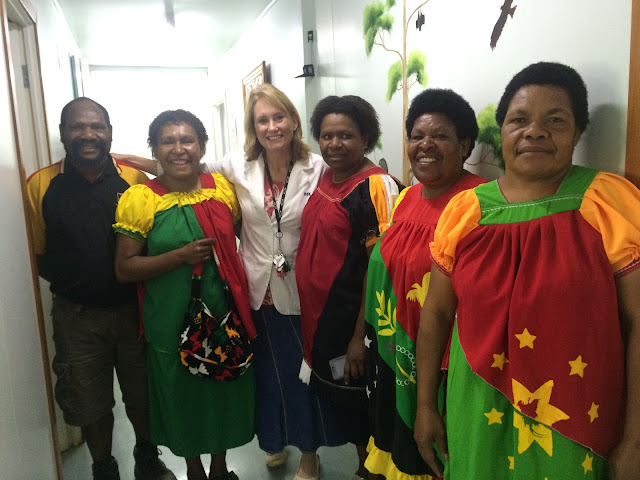 PNG just celebrated its independence day, and these lovely people are my colleagues at the clinic. So glad they were willing to take the time for a colourful celebratory photo! 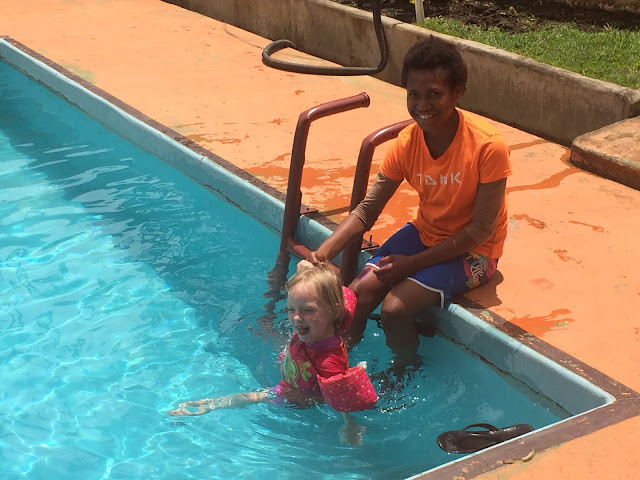 It's school break over here, and the kids were very bored, so off we went to the pool at the Kainantu Lodge (15 minutes away) with our sweet babysitter and friend Dilu to help. Marcie is such a little fish! 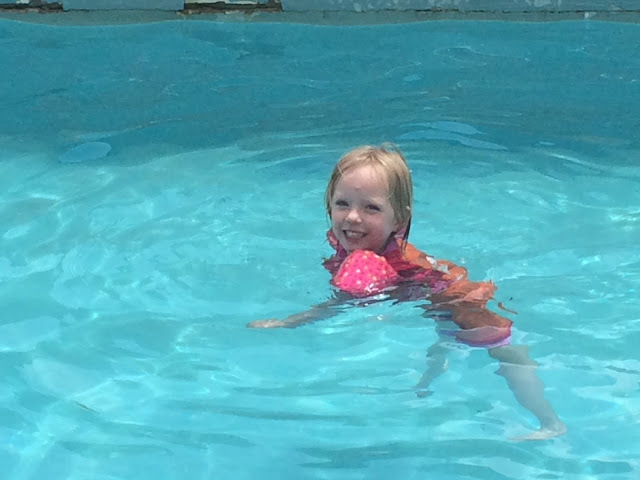 She's swimming with the aid of her life vest. 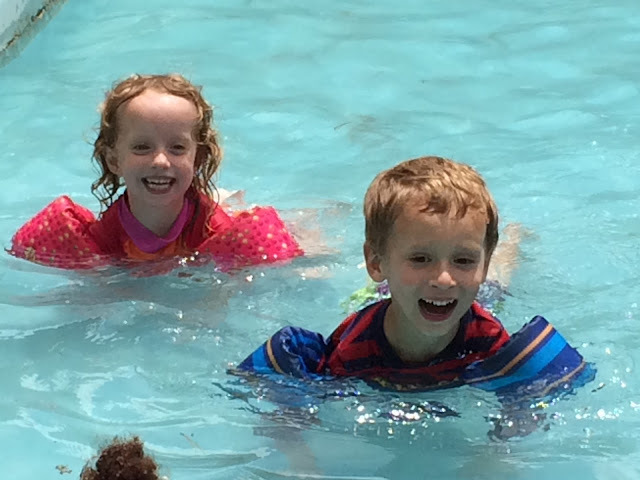 David and Grace playing a game in the kiddie pool (of all the possible pairings among the quints, this is the happiest and most peaceful). 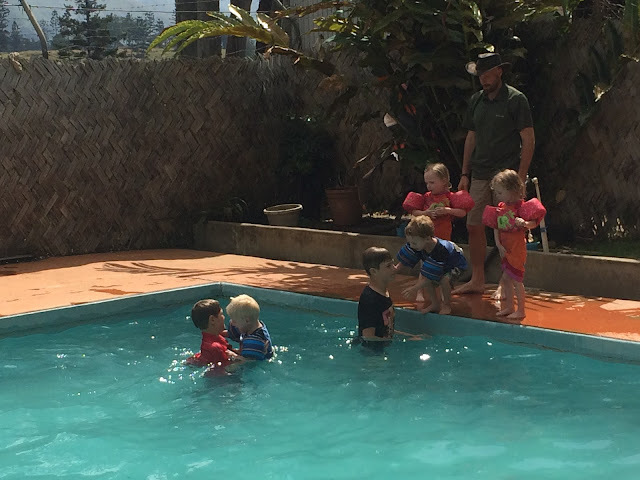 Johnny and Isaac sure enjoy the pool and are a huge help and ton of fun for the quints - plus their silly games with the little kids make me laugh! With my friend and Saturday baker of donuts and tortillas, Saiki and her daughter Lois (namesake of Lois Vincent). 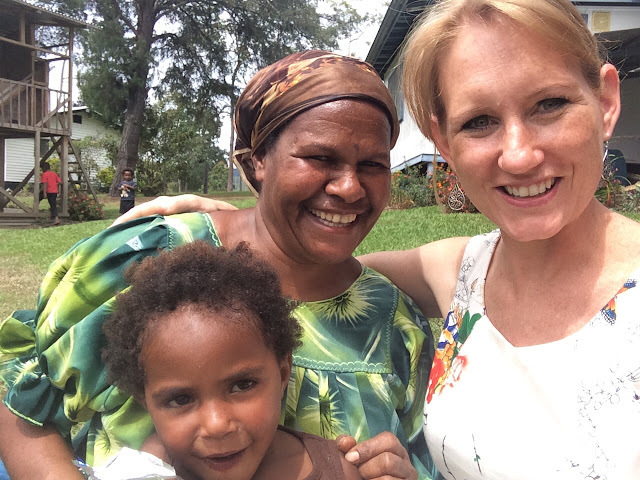 I need the beautiful PNG ladies that help in our home SOOOOO MUCH! The Lord blesses and provides for our emotional, mental and physical needs so faithfully through them. Their work ethic and conversation also bless me spiritually! Thank YOU ALL for blessing us, too!